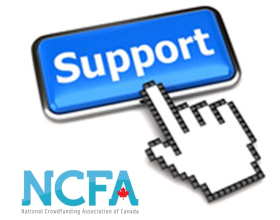 In addition to holding conferences, NCFA Canada has fielded hundreds of questions from aspiring crowdfunding portal operators, issuers, investors and media by telephone, email and in person. We have participated in several federal and provincial government educational meetings with Industry Canada and Economic Social Development Canada (ESDC) and the Ontario Ministry of Economic Development, Trade and Employment. We have worked towards building communities of crowdfunding practice across the country and have grown our national Crowdfunding Ambassadors program to over 20. We are working closely as community development partners in support of entrepreneurship with various organizational initiatives such as Startup Canada’s Financial Literacy Committee and Fundica’s cross-Canada funding road show to advance the level of Crowdfunding literacy amongst SMEs. We have developed a significant amount of online educational content including webinars and we have published an equity crowdfunding FAQ on our website and provided articles summarizing the key elements of the proposed crowdfunding exemptions. We are also in the process of finalizing an e-book of a larger array of questions and answers on equity crowdfunding and investing in general. To cultivate the benefits of investment crowdfunding frameworks, regulators must strike the right balance between protecting investors while ensuring efficient capital formation for SMEs. To assist with this task, NCFA Canada has developed eight (8) high-level implementation principles to be used as guidelines when considering the costs and benefits of a prospective crowdfunding exemption in Canada. Collaborative development The collaborative development of a harmonized set of crowdfunding regulations to benefit Canada as a whole. All sectors and industries To be as inclusive as possible to a broad-based range of sectors and industries to encourage balanced growth in communities across the country. Disclosure rules and crowd intelligence Support transparent disclosure and crowd intelligence as a means to help government and industry prevent, identify and report potential fraud and abuse to authorities within a timely manner. Innovative market adaptation To ensure crowdfunding regulations support market evolution enabling innovation to flourish. Efficient capital formation A regulatory framework that gives SME issuers and investors (funders) the confidence that there is a robust framework in place capable of efficient capital formation, and one that is collectively supported by the eco-system. No jurisdictional restrictions Enable a vehicle to allow businesses to accept investment (and funding) from other jurisdictions on a limited basis encouraging competiveness, collaboration and cross border participation. New channels and source of funds Ensure crowdfunding regulations are designed to open up largely a new source and channel of funds by minimizing the impact and overlap with existing exempt market exemptions. Investment caps and reasonable due diligence Protect investors by limiting investment exposure, promoting education, fraud detection and implementing a fair and reasonable amount of due diligence and compliance without overly burdening the process. 1. Should the availability of the Crowdfunding Exemption be restricted to non-reporting issuers? No. The exemption should be open to all qualifying participants that meet the due diligence and compliance requirements as outlined in the proposed crowdfunding exemption. 2. Is the proposed exclusion of real estate issuers that are not reporting issuers appropriate? No. The crowdfunding exemption should be available to all real estate issuers reporting and non-reporting. Non-reporting real estate issuers have enjoyed equity crowdfunding success outside of Canada as illustrated in the chart below with no fraud or failure reported to date in the media. Note: *Data self-reported by website portals and not verified by a third party. We suggest you also visit http://crowdfundbeat.com/lendit-2014-real-estate-crowdfunding-panel/, which contains a video of five founders/representatives of the above real estate portals discussing their approach to equity crowdfunding real estate securities. Real estate as an investment is attractive to investors for several reasons not the least of which is steady returns from commercial or residential real estate investments, including office buildings, retail shopping centers, and single-family or multi-family homes. Crowdfunding allows investors who may not have been able to invest previously in this asset class to add real estate to their investment portfolio or otherwise diversify their investment dollars over several properties. It is unclear to the members of NCFA Canada what concerns the OSC has regarding private real estate issuers. Rather than exclude an entire vertical from participating in crowdfunding markets, we propose that the OSC consider creating an appropriate level of disclosure and reporting requirements for these transactions to address any issues they have concern with in this asset class. No two existing real estate crowdfunding portals in the world are alike, and we expect Canada will see its own share of interesting real estate crowdfunding portals if the OSC allows these portals to exist. 3. The Crowdfunding Exemption would require that a majority of the issuer's directors be resident in Canada. One of the key objectives of our crowdfunding initiative is to facilitate capital raising for Canadian issuers. We also think this requirement would reduce the risk to investors. Would this requirement be appropriate and consistent with these objectives? No. We believe adding requirements regarding the residency of directors and officers would be unduly restrictive. Currently, foreign issuers may use any of the exemptions in National Instrument 45-106 Prospectus and Registration Exemptions. Why impose a residency restriction on the use of this exemption? We live in a global marketplace and artificial barriers to entry result in unattended negative results. For instance, Kickstarter at one time did not allow Canadian companies or residents to raise capital on its platform. This policy resulted in Canadians moving their business to the U.S. or adding a U.S. resident strawman to facilitate their campaign. Vancouver-born entrepreneur Eric Migicovsky of the Pebble Technology Corp. is one such example. A Canadian residency requirement in various corporate statutes in Canada has resulted in non-active Canadian directors being appointed from professionals assisting foreign nationals setting up their business in Canada. This provides no benefit to the company and a modest “capture fee” to Canadian professionals. As Canadians, we have experience in investing in companies active outside of Canada and with foreign boards of directors. Nearly 50% of the 9,000 mineral exploration projects held by TSX & TSX Venture companies are outside of Canada. Allow Canadians to continue to use their judgment to diversify their portfolio. 4. The Crowdfunding Prospectus Exemption would impose a $1.5 million limit on the amount that can be raised under the exemption by the issuer, an affiliate of the issuer, and an issuer engaged in a common enterprise with the issuer or with an affiliate of the issuer, during the period commencing 12 months prior to the issuer's current offering. Is $1.5 million an appropriate limit? Should amounts raised by an affiliate of the issuer or an issuer engaged in a common enterprise with the issuer or with an affiliate of the issuer be subject to the limit? Is the 12-month period prior to the issuer's current offering an appropriate period of time to which the limit should apply? We believe the limit should be up to $5,000,000 and not capped at $1,500,000. We understand that this limit was previously selected based on the U.S. $1,000,000 limit set out under Title II of the JOBS Actand the proposed U.S. Securities and Exchange Commission crowdfunding rules. Recent activity in the U.S. suggests a limit of $1,500,000 may put Canada to a disadvantage over U.S. crowdfunding rules. Specifically, U.S. Congressman Patrick McHenry introduced a bill to amend U.S. Title III crowdfunding as proposed by the U.S. Securities and Exchange Commission. The proposed Startup Capital Modernization Act of 2014, if adopted, willraise crowdfunding limits in the U.S. federally from $1,000,000 to $5,000,000. Other changes will also make the U.S. federal crowdfunding exemption more attractive to issuers and investors than their Canadian counterparts if proposed caps are uncompetitive with international jurisdictions. A number of the intrastate crowdfunding exemptions adopted or under consideration have also chosen a higher limit than $1,500,000. See: Intrastate-Crowdfunding-Exemptions-04-07-14. Equity crowdfunding, is still evolving and a higher limit would allow for that future growth. A higher limit would also ensure Canada offers equal crowdfunding opportunity that may well exist in the U.S.
We believe an issuer’s raise should not be aggregated with amounts raised by an affiliate of the issuer or an issuer engaged in a common enterprise with the issuer or with an affiliate of the issuer. A parent or subsidiary company may be involved in a completely different line of business or be the research arm of the organization. New developments and opportunities may be stifled by treating these entities as one for the purpose of this exemption. We believe the 12-month period prior to the issuer's current offering is an appropriate period of time to which the limit should apply. 5. Should an issuer be able to extend the length of time a distribution could remain open if subscriptions have not been received for the minimum offering? If so, should this be tied to a minimum percentage of the target offering being achieved? Markets are not predictable. The rules should include a method to extend a crowdfunding offering beyond the 90-day window. A further 90-day extension should be allowed under the rule. Issuers should be required to update any information that is stale or inaccurate. Issuers, who have previously launched successful or unsuccessful campaigns on a portal, should be required to share this information in subsequent crowdfunding offerings. This requirement is similar to the disclosure required in prospectuses and qualifying transaction documents of capital pool corporations in Canada about directors and officers current and prior positions with other reporting issuers. 6. Are the proposed restrictions on general solicitation and advertising appropriate? We support the exemptions prohibition against an issuer advertising the terms of an offering via the proposed crowdfunding exemption. We do believe however some clarification should be added to the rule expressly allowing issuers engaged in a crowdfunding offering to continue to publish regularly released factual business information – whether on an issuer’s Internet website or otherwise -- so long as such communications do not refer to the terms of the offering. We agree, only portals and issuers should be allowed to advertise. We believe further clarification should be added to the rule expressly allowing prospective investors to share information about a deal they are interested in through social media to their networks. 7. The Crowdfunding Prospectus Exemption would prohibit an investor from investing more than $2,500 in a single investment under the exemption and more than $10,000 in total under the exemption in a calendar year. An accredited investor can invest an unlimited amount in an issuer under the AI Exemption. Should there be separate investment limits for accredited investors who invest through the portal? We believe the investor investment cap of $2,500 per single investment should be raised to $5,000 or $10,000 per single investment in a calendar year. Investors also should not be subject to aggregate crowdfunding exemption investment cap. Investors should be allowed to invest in as many equity crowdfunding campaigns as they chose. 90% of the U.S. States which have adopted or are considering adopting an intrastate crowdfunding exemption have chosen a 12 month investor investment cap of either $5,000 or $10,000 per single investment, unless the investor is accredited. If the investor is accredited no investment caps are applicable. The crowdfunding prospectus exemption should follow these U.S. developing norms. Issuers will have a difficult time raising the capital they need if the investment cap per investor remains at $2,500 per single investment. As of June 16, 2014, U.K. equity crowfunding portal Crowdcube has raised CD$49,211,800 for 124 businesses. This means an average issuer raises CD$396,869 in their equity crowdfunding campaign on Crowdcube. Only six of these campaigns have over 200 investors. The majority of the successful campaigns on Crowdcube have under 100 investors despite a minimum investment threshold of as little as a CD$180, which means an average investment amount of $4,000 per investor. Canada should expect similar investment trends under the crowdfunding prospectus exemption. As such, the investor investment cap should be raised to a much higher amount. Accredited investors should be able to invest an unlimited amount in a crowdfunding campaign as they are allowed to invest an unlimited amount under the accredited investor exemption. The participation of accredited investors at higher levels will provide non-accredited investors with added value as they are more likely to do greater due diligence then if they were only investing the minimum threshold amount in a campaign. 8. The Crowdfunding Prospectus Exemption would require that, if a comparable right were not provided by the securities legislation of the jurisdiction in which the investor resides, the issuer must provide the investor with a contractual right of action for rescission or damages if there is a misrepresentation in any written or other materials made available to the investor (including video). Is this the appropriate standard of liability? What impact would this standard of liability have on the length and complexity of offering documents? We do not have an issue with this requirement. Current securities laws require issuers to abide by the securities laws in the jurisdiction in which they reside and where the investor resides. This provision requires a similar application. This requirement is also identical to that which issuers and investors are subject to under the offering memorandum exemption in National Instrument 45-106 Prospectus and Registration Exemptions. 9. How should the disclosure documents best be made accessible to investors? To whom should the documents be made accessible? All disclosure documents should be made accessible to prospective and actual investors of an issuer online. When running a campaign, issuers should be required to make this information available on the funding portal website or through a link on the funding portal website to the issuer’s website or a third party website such as SEDAR, a transfer agent or other third party. Ongoing disclosure documents should also be made available to actual investors of the issuer online though the issuer’s own website or a third party website. Information about how to access this ongoing disclosure material should be set out on an issuer’s website. 10. Would it be appropriate to require that all non-reporting issuers provide financial statements that are either audited or reviewed by an independent public accounting firm? Are financial statements without this level of assurance adequate for investors? Would an audit or review be too costly for non-reporting issuers? No. The financial audit and accounting/reporting requirements should be ‘right sized’ to the amount being raised and the financial stage of development (i.e, cash expenditures) of the company. The exemption should allow director and officer certified financials for raises under $500,000; independently reviewed financial statements for raises between $500,000 and $3 million; and audited financials for raises between $3 and $5 million. This is in line with the requirements being proposed under the U.S. Startup Capital Modernization Act of 2014. Financial statements for true start-up companies provide little useful information. What is more important at this stage of a company’s life cycle is how much cash a company has on hand, how much they are burning through each month and how much they need to reach their next significant milestone. Investors also want to know whether the money being raised is to be used in consumption or production. Consumption and paying off prior debt is negative, while production is effort in building value in the company. The need for reviewed and audited financial statements suggests a certain level of complication in an issuers business. When you are an early stage company, very little is complicated and most entries are outflows. Once a company is making sales, audited financial statements provides greater value to investors and the company. The majority of corporate statutes in Canada require issuers to provide audited financial statements unless all of the shareholders consent in writing to waiving this requirement each year. 11. The proposed financial threshold to determine whether financial statements are required to be audited is based on the amount of capital raised by the issuer and the amount it has expended. Are these appropriate parameters on which to base the financial reporting requirements? Is the dollar amount specified for each parameter appropriate? The financial threshold to require audited financial statements should be $1,000,000 under the crowdfunding prospectus exemption not including funds raised under any other prospectus exemption since the formation of the issuer and the issuer having expended more than $500,000 since its formation. See also our response above under question 10. 12. Are there other requirements that should be imposed to protect investors? In our February 28, 2013 comment letter regarding OSC Staff Consulting Paper 45-710 Considerations for New Capital Raising Prospectus Exemptions, we made the following suggestions the OSC may wish to explore to address investor protection concerns. The OSC has incorporated a number of these suggestions into the proposed crowdfunding exemption. The OSC may want to visit other suggestions at this time for further consideration. Statutory Declarations: Statutory declarations are used in other forums including the insurance industry to protect against fraud. In some cases, the purpose of a declaration is to make it easier to convict or successfully bring a civil suit for perjury (lying under oath in a sworn statement) or misrepresentation as opposed to obtaining a judgment for criminal or civil fraud. In the crowdfunding context, management/directors/sponsors of SME issuers, portals, and investors must not submit false or misleading representations (including representations via social media). Statutory Civil Remedies: There must be clear statutory remedies for crowd investors including restitution of benefits and monies paid by investors because of wilful misrepresentations, fraud or, as above, lying under oath in a statutory declaration. Spot Audits: The OSC or an equivalent industry supported regulatory organization should be entitled to conduct a reasonable number of spot audits annually of portals and issuers with an obligation to report and address any suspicions of fraud to the appropriate authorities. Education and Risk Acknowledgement from the Purchaser: Industry best practices and standards need to be developed and offered to all crowdfunding participants by way of online media including tutorials, videos, podcasts, articles and whitepapers. Industry associations, and financial and academic institutions, should offer industry recognized non-mandatory courses to those interested in pursuing crowdfunding education via course work. Portals should provide robust FAQs and administer purchase risk acknowledgement forms in a clear and transparent manner. Background Checks: Criminal background and identify checks should be conducted for directors and management of SME issuers and portals (if appropriate for the circumstance and not overly burdensome or expensive for participants). Disclosure (at the time of purchase): Investors should have access to a reasonable amount of information pertaining to the investment allowing them to make a suitable decision to participate in the offering or not, without being overly burdensome to the process at hand. SME and portal directors should disclose personal information required to conduct a criminal background check. Non-Compete Clauses: Whether by way of a shareholders’ agreement or OSC rules, there should be restrictions or regulations on the company’s founders, management, and directors from competing in the same line of business during and for a reasonable time after their employment. Fraud Detection: Collectively, the eco-system needs to ensure that fraud is swiftly detected and the appropriate deterrents are in place. A centralized shared database could be established to track and protect the interests of the entire industry from potential cases of fraud and abuse. All occurrences of fraud and potential red flags could be stored and cross-referenced, protecting the reputation of regulators, portal operators, service providers and investors associated with crowdfunding industry. Portal Duty and Obligation to Report Fraud: Portals should have a legal duty and obligation to report suspicions of fraud to the OSC or related governing body. On-going Disclosure: Successfully funded SME issuers should provide shareholders with an annual snapshot of unaudited financial statements, and brief business update summarizing historical performance and future plans. Investment Limits: We do not believe investors should be subject to an aggregate investment cap. If a cap is imposed it should be limited to unsophisticated investors with an aggregate cap of $10,000 to $20,000 per 12-month calendar period.72.9% of survey responders reported that investor caps should be set above $10,000. Escrow Account and Disbursement of Funds: Funds should be held in a third party escrow account and only released if the full funding target is achieved (and minimal cooling off period surpassed) with a maximum of 25% subscription overrun allowed before the offering is closed. Effective Dispute Resolution: The process for certifying a class proceeding in Ontario is quite complex and expensive. Any dispute or individual claim arising from an investment would not be large enough to warrant independent legal action. However, a claim on behalf of all, or a group of investors may warrant legal action. The crowdfunding model would greatly benefit from a streamlined template (e.g., shareholders agreement) or legislation to the effect that all disputes be settled by way of private arbitration and expressly allow investors to commence arbitration as a class. Sponsorship Concept from Australia: The Australian sponsorship crowdfunding model was reviewed in a research paper that analyzes ‘equity signals in crowdfunding’ on a world leading equity crowdfunding portal called The Australian Small Scale Offerings Board (ASSOB). The self-imposed sponsorship model requires that all SME issuers participating on the ASSOB platform must engage at least one sponsor or professional business advisor, such as an accountant, corporate advisor, business consultant, financial broker, or lawyer, prior to getting listed on the portal. o descriptions of the management team and external board members. Sponsors generally receive a mix of cash and ‘sweat equity’ for their services. They vet all companies seeking to list on the ASSOB portal, and give investors the confidence and information that they seek to make an effective investment decision. 13. The Crowdfunding Portal Requirements provide that portals will be subject to a minimum net capital requirement of $50,000 and a fidelity bond insurance requirement of at least $50,000. The fidelity bond is intended to protect against the loss of investor funds if, for example, a portal or any of its officers or directors breach the prohibitions on holding, managing, possessing or otherwise handling investor funds or securities. Are these proposed insurance and minimum net capital amounts appropriate? Yes. This requirement places equity crowdfunding portals operating under this exemption under the same capital and bond requirements as exempt market dealers and recently approved restricted dealers in Ontario. 14. Do you think an international background check should be required to be performed by the portal on issuers, directors, executive officers, promoters and control persons to verify the qualifications, reputation and track record of the parties involved in the offering? No. We believe that undertaking an international background check on an issuer’s key stakeholders as contemplated in question 14, would impose a significant financial burden on both portal operators and issuers and provide little value in return. Performing a quality international background check has many challenges. Language and regulation issues lie at the heart of these challenges and are a major driver of additional costs. Most developed countries have enacted legislation to protect the privacy of personal information and the ways in which this information is collected, transmitted and utilized. Background verification companies have a duty of care to collect personal information in a manner which is consistent with the jurisdiction in which it is collected. In Canada we are guided by the Personal Information Protection and Electronic Documents Act (PIPEDA); in the US and Europe, The Fair Credit Reporting Act (FCRA), and the EU’s Directive on Data Protection govern. In many countries, however, laws governing background verification and personal information privacy are still under development. Additional translation and interpreter resources would have to be accessed in order to understand local protocols and to subsequently request the personal information required for the verification of the key stakeholders. The additional time required to properly perform this service across multiple time-zones would also add to the cost of verification. 15. The Crowdfunding Portal Requirements would allow portal fees to be paid in securities of the issuer so long as the portal's investment in the issuer does not exceed 10%. Is the investment threshold appropriate? In light of the potential conflicts of interest from the portal's ownership of an issuer, should portals be prohibited from receiving fees in the form of securities? Yes. Portals should be able to accept securities as a portion of their fees. 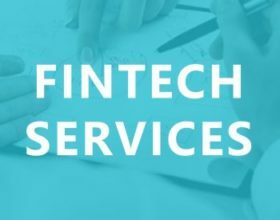 Historically, investment dealers, incubators and accelerators have all taken a portion of their fees in securities of issuers they are assisting. Portal operators are likely to be more careful in choosing good quality businesses to list on their portal if a portion of their fees is in the form of securities of that issuer. Many of the successful equity crowdfunding portals outside of Canada such as Israeli based OurCrowd and UK based Syndicate Room receive a portion of their fees in the form of securities in the businesses they fund. As long as portals provide conflict of interest disclosure to issuers and investors, the receipt of a portion of a portal fee in securities is likely to help the industry and portals form sustainable businesses versus causing any problems. No. Portals should be able to hold, handle and deal with client funds on the same basis as an investment dealer, exempt market dealer, trustee, escrow agent or legal professional; providing that a portal meets the requirements of an accredited trustee or escrow agent. Why have portals post insurance and meet minimum net capital amounts. This rule seems unduly restrictive and adds another layer of cost that will be passed down to the issuer and indirectly the investors. If portals not allowed to handle or deal with clients’ funds they should not be required to obtain a bond or insurance on par with exempt market dealers as there is reduced risk. 17. Are there other requirements that should be imposed on portals to protect the interests of investors? No. We believe the proposed requirements governing portals are adequate to protect the interests of investors. 18. Will the regulatory framework applicable to portals permit a portal to appropriately carry on business? It is still not clear in the rules if a portal may curate the businesses seeking to raise capital on its portal website. Unless a portal is extremely rigid in setting out its objective criteria as to how it plans to limit the offering on its platform it is open to regulatory action for having made a recommendation or endorsement by choosing business “y” over business “x”. Portals should be able to make a judgment as to appropriateness of a particular business seeking capital through its services. Portals should be able to post campaigns of affiliates or in businesses, they have financial stake if they disclose any such conflict of interest. We could imagine an incubator or university wanting to launch a crowdfunding portal to promote businesses they have an interest in advancing. We do not see anything wrong with this as long as the conflict is disclosed. Background checks on issuers, directors, executive officers, promoters, and control persons should be limited to requiring portals accessing free public resources online. A number of the provincial courts in Canada make their database of past and pending charges/court actions and court materials available online for free. BC is one of those provinces. DUI and parking tickets are included as well as charges that are more serious and statements of claims. Canlii.org is an excellent source for judgements issued in civil and criminal cases right across Canada. The securities commissions also keep a database of people who have ran afoul of securities legislation: BCSC Disciplined Persons List and the CSA disciplined persons database. There are similar resources available in the US, Asia and Europe. The TSX Venture Exchange charges $500 for a domestic background search, which barely recoups their cost. International searches can cost up to $5,000 per director and take up to three months to receive all information on the director. The securities regulators should clarify whether portals and issuers may use search engine optimization or targeted social media advertising in identifying potential investors. It is unclear what purpose is being served for requiring quarterly reports by portals to securities regulators. 19. Are the proposed activity fees appropriate? Do they address the objectives and concerns by which were guided? No. Separate minimum filing fees (see below) are too high and confusing for issuers planning to raise capital using the crowdfunding exemption or the start-up crowdfunding exemption. Issuers would have to set minimum raises for each jurisdiction to justify the filing fee defeating the intent and purpose of crowdfunding. No filing fee should be required when filing an exempt distribution report when an issuer has sold securities under either the crowdfunding exemption or the start-up crowdfunding exemption. No filing or fees are required when issuers rely on the private placement exemption in the US, which these two exemptions closely substitute. If a fee is necessary, it should be reduced and coordinated across all of the jurisdictions under which securities are sold pursuant to either of these exemptions. In such a newly forming and nascent industry, we feel that the distribution activity fees should take a ‘wait and see’ approach to determine how much market activity there is first before adding additional costs to a new process. 20. Should we consider any other activity fees for exempt market activity? 21. Considering that the Start-Up Exemption will be substantially harmonized amongst the Participating Jurisdictions, it is our intention to allow a portal established in one Participating Jurisdiction to post offerings from issuers established in another Participating Jurisdiction. Also, portals established in one Participating Jurisdiction would be allowed to open their offerings to investors from other Participating Jurisdictions. Do you see any problems with this approach? 22. One of the major differences between the Crowdfunding Exemption and the Start-Up Exemption is that there is no registration requirement for the portal under the Start-Up Exemption. Do you think there are appropriate safeguards to protect investors without the registration of the portal? If not, please indicate what requirements should be imposed to the portal in order to adequately protect investors. We believe registration as an investment dealer, exempt market dealer or restricted dealer is not required in order to protect investors. History has shown innovation in any market does not come from within the established pillars of that marketplace. Assumptions about one’s industry get in the way in seeing obvious innovations and opportunities. Crowdfunding portals are a business. They are driven by the same considerations as any other successful business: opportunity; ownership structure; funding; management; business model and relationships. Crowdfunding portals in the donation, perk, and product pre-sale market emerged without any structure or rules to guide them or protect campaign contributors. There has been less than 0.01% of fraud in this marketplace since its inception. Similarly, there has been no reported fraud on the equity crowdfunding platforms operating outside of Canada. Founders of a crowdfunding portal have high incentives to make their business as success. We expect there will be significant sampling and attrition among equity crowdfunding portals in Canada similar to that experienced in the mutual fund and discount brokerage businesses in the early 1990s. The better operators are likely to utilize best practices from the non-equity crowdfunding marketplace and innovate in ways we cannot anticipate at this time. This innovation should be encouraged. We caution there is a high risk of regulatory capture by an entrenched industry that wants to keep the status quo as it protects its economic interests. Requiring portals to register as an investment dealer, exempt market dealer or restricted dealer will not necessarily protect investors. Keeping the status quo will not benefit Canada in the short or long term as issuers and investors will seek out jurisdictions that advance their interests versus the interests of the established finance industry. 23. We are considering imposing a limit per calendar year of 2 capital raises by an issuer of a maximum amount of $150,000 under the exemption ($300,000 per year). Are these limits appropriate? If not, please provide what you would consider acceptable limits given the parameters of the proposed exemption. No. We believe the limits should be higher. Data from seed and early stage portals operating in Europe suggests this limit should be two capital raises around $500,000 to $750,000 each with a maximum annual cap of $1,000,000 to $1,500,000 per year. Intrastate crowdfunding exemptions adopted by and under consideration by individual U.S. States have a higher maximum amount ranging from $1,000,000 to $2,000,000 per year with audited financial statements not required unless raising over $1,000,000 in a 12-month period. The proposed start-up crowdfunding exemption is aimed at a similar market as these intrastate crowdfunding exemptions. We support the idea of milestone capital raises, which the start-up crowdfunding exemption encourages. There is a question however, if two raises of equal amounts is the best method to accomplish this goal. In certain circumstances, it may be more appropriate for an issuer to raise $50,000 and then an additional $250,000 in a second offering or do three offerings of $100,000 each (assuming the aggregate maximum of $300,000 of the rule remains unchanged). Note: * Data self-reported by website portals and not verified by a third party. ** OurCrowd and SyndicateRoom impose accredited investor like requirements on investors. 24. The Start-Up Exemption would prohibit an investor from investing more than $1,500 in a single investment under the exemption. Is this limit appropriate? Should there also be a limit on the dollar amount that may be invested on a yearly basis by an investor? See our response above under question 7. 25. Should there be minimal ongoing disclosure that issuers be required to provide to their security holders? If yes, what should it be? Successfully funded issuers should provide shareholders with an annual snapshot of unaudited financial statements, and brief business update summarizing historical performance and future plans. Issuers should be required to maintain a basic share registry on their own website or a third party service provider. Portals or third party service providers, should also remain the central, publically accessible centers for all reports and amendments by issuers. Portals should be required to keep this material permanently on their site and make this information accessible to the public. This not only provides a central location for information about an issuer, it also incentivizes portals to be accountable for issuances on their sites. The names and businesses of fundraisers are also permanently diarized and assessable to future potential investors and regulators. 26. We expect issuers using the Start-Up Exemption to maintain the information provided in the Issuer Information form and the Offering Document form updated throughout the distribution period. Should there be an obligation for issuers to further update that information outside the distribution period? No. Other than stated in our response above under question 25, issuers who use this exemption should not be subject to requirements that do not apply to issuers raising capital under the private issuer exemption, the accredited investor exemption, the friends, family & business associate exemption or the existing offering memorandum exemptions in place in Canada. 27. Should investors have the right to withdraw their subscription at least 48 hours prior to the disclosed offering deadline, as proposed under the Crowdfunding Exemption? We support a cooling off period that allows investors a two-business day right of withdrawal from the date of their initial investment decision, as long as that investment is made 96 hours prior to closing date of the offering. 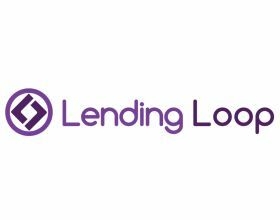 The need for a withdrawal right that allows an investor to withdraw their investment within 48 hours prior to the disclosed closing date of the offering is not necessary. Campaigns under the exemption may be online for as long six months. This form of capital raising is not a high-pressure sales approach with a salesperson creating urgency and the investor lacking full information. 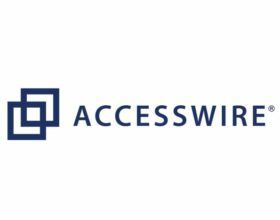 The proposed withdrawal period is also not workable in an all or nothing campaign unless subscription waitlist is allowed, as an issuer may believe they have the investors they need to complete their offering but because of the right of withdrawal they may find they are short. Issuers will have limited time in which to replace investors who have exercised their right of withdrawal. The lack of the ability to obtain certainty even when a campaign looks successful will deter issuers from using this exemption. 28. For Nova Scotia only, should Community Economic Development Investment Funds (CEDIFs) be eligible to use the Crowdfunding Exemption and/or Start-Up Exemption? If so, why? If not, why? CEDIFs should be eligible to use the crowdfunding exemption. Tax incentive programs in the United Kingdom have been integral in making equity crowdfunding a success for seed and early stage companies within its borders. CEDIFs similarly provide tax incentives to residents in Nova Scotia to invest in community based for profit businesses. Securities regulators in Canada should reconsider their proposed ban against investment funds in Canada raising capital through one of the equity crowdfunding exemptions. A number of equity crowdfunding portals in Europe and the U.S. are moving from a direct investment model to curated funds model that invests in a pool of investments selected by the portal or a third party portfolio manager. Crowdcube Venture Fund, which is managed by Strathytay Ventures, a subsidiary of Braveheart Investment Group, is one such example. FundersClub in the U.S. started as a direct investment portal and now investors invest in venture funds run by FundersClub. FunderClub members have invested over $16 million through the portal, which has resulted in over $250 million being raised by FunderClub portal companies. 29. Are there other requirements that should be imposed to protect investors, taking into account the stage of development of the issuers susceptible to issue securities under the exemption? Portals should be required to maintain investor forums after funding is complete, or else provide some easy way to move forums, including user identities and comment histories, to a new, permanent online location. Failing to do this will result in a loss of accountability and create an opening for fraud. On donation, perk and product presale crowdfunding portals, communities of supporters continue to give feedback on projects long after funding has closed, providing both a valuable resource and an important incentive for issuers to deliver. Crowdfunding relies on the online as well as real world identities for issuers, commenters, and backers being transparent to one another. LinkedIn, Twitter, and Facebook are all useful methods to identifying individuals and discovering and verifying expertise. Portals should be required to have issuers and other link their online profiles on these sites to their identity on the portal. The rules should clarify that investors are free to share information about an equity crowdfunding investment they are interested in through their social media contacts. Ethan Mollick, a professor from Wharton University of Pennsylvania, studies crowdfunding extensively. He has found that investors play a critical role in detecting fraud. Investors look for signals of quality, and are more likely to fund projects that show signs of the ability to succeed – clear plans for future development, appropriate backgrounds, past experience, and outside endorsements. They discuss projects and their viability on the portals but also on social media sites where they can tap into the knowledge of outside experts, their extended network and the media. Projects improve because of the feedback from such discussions, fraud is made almost impossible, and the entire community of investors benefit. See: Mollick, Ethan. (2014), The Dynamics of Crowdfunding: An Exploratory Study, Journal of Business Venturing, 29 (1), 1 – 16. Or video of Ethan Mollick discussing same topic: Youtube Video Link. As stated previously, we believe registration as an investment dealer, exempt market dealer or restricted dealer is not required in order to protect investors. History has shown innovation in any market does not come from within the established pillars of that marketplace. Assumptions about one’s industry get in the way in seeing obvious innovations and opportunities. In Canada, broker dealers have been able to set-up online equity crowdfunding portals relying on the accredited investor exemption or the offering memorandum exemption since 2004. They have also been allowed to advertise on and offline. Optimize Capital Markets was the first exempt market dealer in Canada to set up an online funding portal in 2009. It remained the sole online funding portal in Canada until 2013. Even now, Optimize Capital Markets stands alone in moving to a cross-border online funding portal model. In contrast, the U.S. Securities and Exchange Commission only recently (September 23, 2014) allowed advertising under its accredited investor exemption. Since that date, accredited investor portals established by registrants and through no-action letters from registration have proliferated in the U.S. A number of these portals have raised significant capital. For example: Circle-Up – US$30,000,000; Crowdfunder - $111,700,000; EquityNet - $231,748,700; Fundable - $114,000,000; Microventures - $36,600,000; RealtyMogul - $18,000,000; Fundrise - $10,000,000; and Rock-the-Post - $30,698,452 are all active U.S. accredited investor equity portals. (All amounts approximates in U.S. dollars and as reported on their websites on May 14, 2014.) Most of the founders of these portals come from a mixed background and not solely the finance markets. Given our different experience with the development of accredited investor portals in Canada, we could be waiting a long time for a vibrant start-up equity crowdfunding market to emerge if we rely solely on Canadian registrants to develop these portals. Over half of the adopted and proposed intrastate crowdfunding exemptions do not require portals to be registered as a broker-dealer or registered advisor. 30. Do the changes to the reporting requirements strike an appropriate balance between: (i) the benefits of collecting information that will enhance our understanding of exempt market activity and as a result, facilitate more effective regulatory oversight of the exempt market and inform our decisions about regulatory changes to the exempt market, and (ii) the compliance burden that may result for issuers and underwriters? We believe the securities regulators across Canada should harmonize the exempt distribution reports into one report. There is not enough of a difference in these various exempt distribution reports to warrant separate documents. If all the proposed changes go through in Canada there will be four (4) different exempt distribution reports. The securities regulators by failing to work together and harmonize this report are creating unnecessary friction, regulatory and investor confusion, and increased compliance costs. Issuers will need to retain a lawyer just to figure out if they are using the right exempt distribution report. Securities regulators should also make the basic information contained in these reports available to the public. Currently, there is very little transparency regarding the actual information collected by securities regulators in the exempt market. It is impossible to determine what is happening in the exempt market without this information. Similarly, there is no need for seven (7) different risk acknowledgements under National Instrument 45-106 – Prospectus and Registration Exemptions. Not only is this frustrating to issuers it is equally frustrating and confusing to investors. 31. Should any of the information requested through the Proposed Reports not be required to be provided? Is there any alternative or additional information that should be provided that is not referred to in the Proposed Reports? We have no view as to the importance or adequacy of information being requested in the proposed reports at this time. We are not providing specific comments on the proposed amendment to the offering memorandum exemption (OM exemption) at this time but instead general comments. NCFA Canada supports the OSC adopting the OM exemption. This exemption is currently available in every province and territory in Canada but Ontario. Harmonization of the capital-raising exemptions in Canada should be a top priority all Canadian securities regulators. Canada however will have four different OM exemptions if the OSC, Alberta Securities Commission, Autorité des marchés financiers, Financial and Consumer Affairs Authority of Saskatchewan, and New Brunswick Financial and Consumer Services Commission go forward with a new version of the OM exemption under consideration. SMEs do not use the current OM exemption because it is too complicated and expensive as is. Making the use of the OM exemption even more complicated with more nuanced differences across Canada will make it completely unworkable for SMEs. To the extent possible, the substantive and procedural components of all capital-raising exemptions should be identical across Canada. We can see no reason for an Ontario only version of the friends, family and business associate exemption, OM exemption or existing security holder exemption. Adopting a version of any of these three exemptions that is substantially or even moderately different from the version adopted in other jurisdictions in Canada is ill advised. The OM exemption as it exists now should be the version adopted by the OSC and remain in place across the rest of Canada. No evidence has been put forward by any of the participating jurisdictions that the existing forms of the OM exemption are flawed or being abused. Instead, evidence seems to suggest the OM exemption is being under-utilized by SMEs. The proposed amendments to the OM exemption do no suggest the proposed changes will be ones that would make this exemption more attractive to SMEs. Instead, the amendments appear to be adding a layer of complexity and cost. Issuers and investors no longer conduct business or investments in a territorial bubble. Technology advances continue to change the way people conduct business. The gathering and sharing of information is almost instantaneous and global. Work is decentralized. Companies can outsource production, and back-end functions worldwide. Securities rules that artificially restrict business and its ability to raise capital efficiently hurt the Canadian economy as a whole.